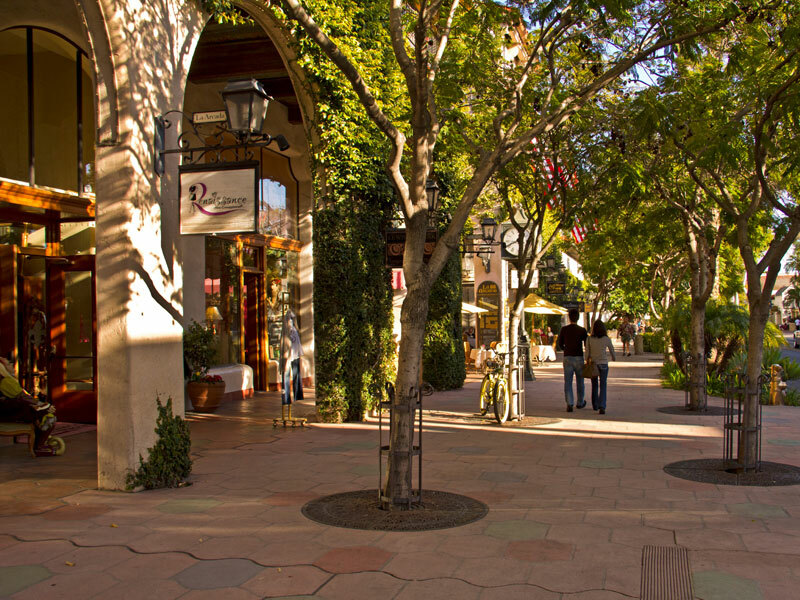 Running through the heart of downtown Santa Barbara, State Street has served as the social, economic, and cultural center of the city and southern coast for over 150 years. Officially named in 1850 to honor California's recently declared statehood, State Street runs from the historic Stearns Wharf, to the waterfront district and continues through the center of downtown. 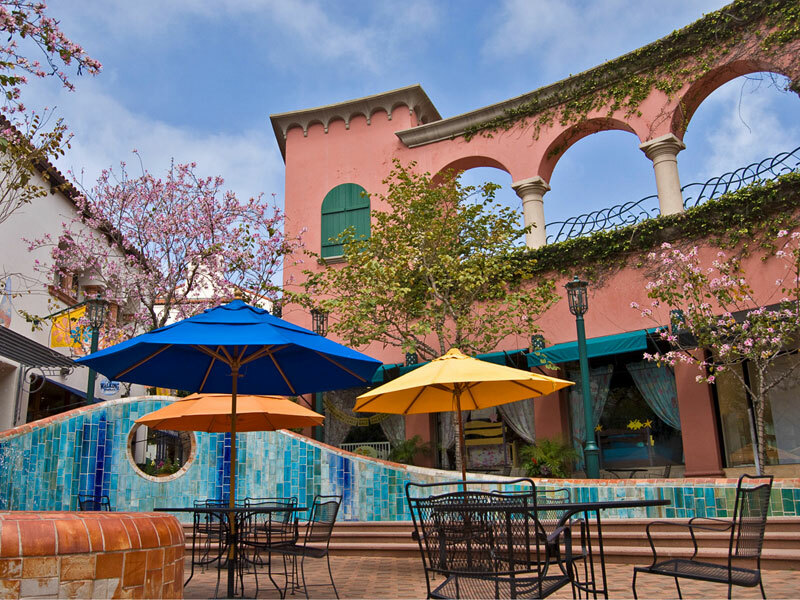 Its unique Hispanic architectural style and landscaping, pedestrian amenities, proximity to the Pacific Ocean, views of the Santa Ynez Mountains, and cultural sites provide 24-hour activities for residents and visitors. Stearns Wharf at Cabrillo Boulevard to Sola Street. La Arcada Streetscape. Photo courtesy City of Santa Barbara. Since the 1960s, the city has invested in projects to re-energize the street by widening sidewalks, providing a strong retail core environment, increasing support for the arts, banning street parking, creating ample off-street parking, and providing an electric shuttle bus program. The "Plaza Concept" aims to draw visitors into an aesthetically pleasing streetscape through the use of landscaping and pedestrian amenities to encourage walking and cycling. 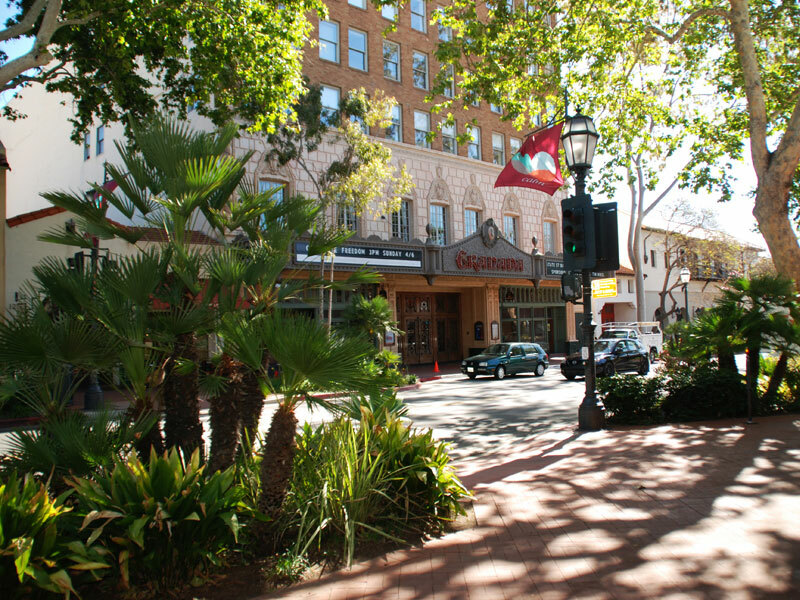 Paseos, or pedestrian avenues, link State Street to off-street parking sites while offering opportunities to stop and rest at small fountains or plazas sheltered from the main thoroughfare. Paseo Nuevo Interior Plaza. Photo courtesy City of Santa Barbara. Historic Granada Theatre. Photo by Alison Grube.